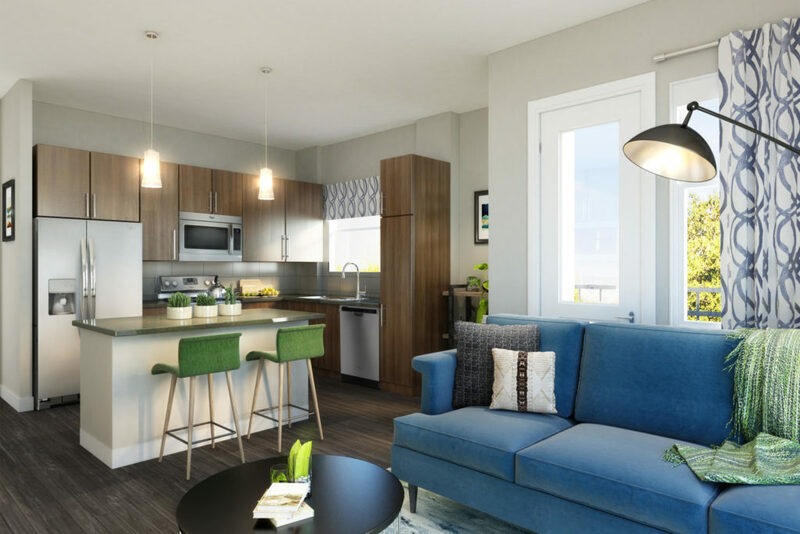 When you live at the Alexan Arapahoe Square, you discover luxury apartments in Denver where beauty is more than skin deep. Dive into a lifestyle where apartment features aren’t just beautiful, but make your life easier. Here you can enjoy a world designed around you, and a life filled with fun and friends. Indulge your friends and out of town guests with a suite of community amenities that are perfect for a 3-day weekend. You can rest easy knowing you picked the layout and floorplan perfect for the life you want. Your new surrounding neighborhood has plenty of things to offer. Treat yourself and your friends to dining, entertainment and social venues that will keep you coming back for another good time. Welcome home to a luxury apartment that takes care of you. If you are lucky enough to enjoy a personal assistant at the office, you can have the same peace of mind at home. Not only can you enjoy a year of free Amazon Prime, but your home is set up for Alexa to help. Your Wi-Fi enabled thermostat can do more than just keep you comfortable. Alexa can save you a walk to the thermostat, just call her name. Too light or too dark? Not a problem for Alexa – just ask her to turn the lights on. But not all the helping hands you will find are digital. You can find the perfect helpers in your new gourmet kitchen. Your stainless steel appliances are powerful, so let your culinary imagination run wild. Even your refrigerator has double-doors for easy access to fresh and frozen. Your prep is more beautiful than ever. Slicing and dicing on granite or quartz will make you feel like a celebrity chef. Discover a beauty more than skin deep when you choose your new luxury apartment at the Alexan Arapahoe Square in Denver Colorado.